Yesterday I posted news about Attorney General Andrew Cuomo announcing an investigation into process servers who fail to properly serve lawsuit papers (Attorney General Investigating Process Servers for Taking Illegal Shortcuts ). 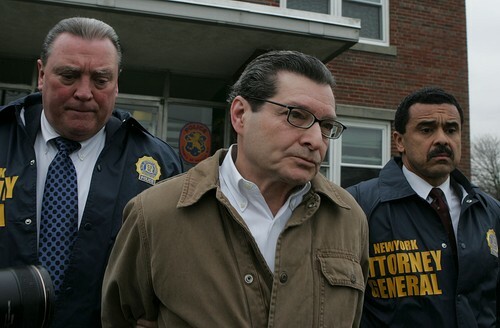 Today, Cuomo announced the arrest of the president of Long Island-based American Legal Process (William Singler) for engaging in a fraudulent business scheme in which the company allegedly failed to provide proper legal notification to thousands of New Yorkers facing debt-related lawsuits, causing them unknowingly to default and have costly judgments entered against them without the chance to respond or defend themselves. This process serving company was apparently hired by many high-volume debt collection law firms in New York to serve collection lawsuit papers. This usually consisted of a summons and complaint which notifies consumers that they are being sued. American Legal Process (ALP) often neglected to actually serve the papers as required by law, instead engaging in the highly illegal practice of “sewer service,” according to the charges. As a result, many consumers were subsequently harmed when their bank accounts were restrained and their wages garnished. I have represented many Long Island bankruptcy clients who needed immediate bankruptcy protection because of this. The charges also include allegations that ALP engaged in additional fraud by covering up their illegal activity by falsifying documents, submitted to courts across the state, swearing that proper legal notification had been duly served upon these individuals. In addition, Attorney General Cuomo announced his intent to sue one of ALP’s largest customers, the the high-volume Long Island debt collection firm of Forster & Garbus, for violations of New York State’s consumer protection laws. According to Cuomo, Forster & Garbus used ALP to serve over 28,000 summons and complaints across the state, but failed to supervise the company and relied on legal papers from ALP that it knew or should have known were false. Many of my Long Island bankruptcy clients have been sued by Forster & Garbus. The investigation also involved some incredible work by the Internal Audit Unit of the New York State Unified Court System, which reviewed more than 100,000 records of affidavits of service. As a result of the investigation and the charges against ALP, there will certainly be a major shakeup in New York collections practices and the likelihood of numerous class-action suits. It would not surprise me if some of Long Island’s largest collection law firms are driven out of business. It also appears that the Attorney General may bring charges against other process service companies as well.